The expectation is not a wrong thought, for any of the activities of the final result. But we can’t say that all of our final results of the activities will not satisfy the expectations. 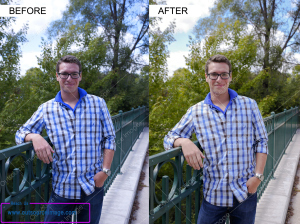 We Outsource Image, The Professional Image Enhancement Service Provider in Sweden In the same way, the photography service, all of the photos are not achieving the customer confidence. During the time of the photo capturing there is the chance to occur the unwanted interrupts like the crossing of objects, Low sunlight, Bad climate condition and some of the major reasons are affecting the photos of the portrait and photography service. So you are in the situation of need the help from the image editing service provider like outsource image. Send all of those irregular photo shots to our address, whether you are single or photography vendor, we will bring your expectations in front of your eye without disturbing the originality of the images. Also, having the goal of increasing the clients up to 500 to 1000 and this is achieved by only the innovative and unique service. Outsource image is using the extraordinary tools to bring the photos into the professional look and eye attractive. Happy to say that our editors are satisfying the customers by their outstanding Image Enhancement techniques. Just send those images to our address and see the quality of our service and method of approach.